WellSpring School of Allied Health was founded in 1988 as the Massage Therapy Training Institute. Starting with just two students in Kansas City, Missouri, the school was born of the belief that nurturing touch could have a profound effect on the wellness of our society. Over the 30 years since then, WellSpring has grown from a humble one-room classroom into one of the most diversified and best-respected health and wellness schools in the country, complete with degree, certificate and continuing education programs across four different disciplines of Massage Therapy, Fitness Training, Nutrition and Wellness Coaching, and Medical Assisting. But where we have not yielded an inch is in our belief in the powers of human touch, and the importance of treating the whole person, not just their symptoms. At WellSpring, we understand your desire to serve others and improve overall well-being because that is our desire too. Our goal is to help you get there by providing the tools and the experiences that allow you to find the perfect path for you, and ultimately facilitate a new career that you will truly love going to each day. Today, WellSpring is recognized as an industry leader in allied health and wellness. We’ve helped thousands of students learn more than a vocation. They’ve become true wellness professionals who are highly valued by both employers and clients. We’d love to do the same for you! WellSpring prides itself on the depth and diversity of our curriculum, small class sizes and supportive learning environment. Our greatest strength, however, is our instructors. All of WellSpring’s career training programs are taught by professionals who are not just leaders in their industry, but are also interesting people, with stories to tell about their own journeys in the health and wellness realm. While their paths and experiences are beneficially diversified, they all have one thing in common—a passion for making learning fun. We are dedicated to providing you with the flexibility, guidance and support you need to balance your career training with family, work and other responsibilities. WellSpring offers two scheduling options. Our daytime schedule allows you to complete your training in the shortest amount of time by attending classes two full days a week. Our evening/weekend schedule allows you to make lower weekly time commitments by attending classes two evenings per week and some weekends. 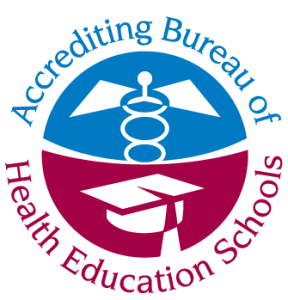 WellSpring School of Allied Health is institutionally accredited by the Accrediting Bureau of Health Education Schools (ABHES), recognized by the U.S. Department of Education and approved to operate by both the Missouri Department of Higher Education and the Kansas Board of Regents. The Fitness Training Certificate Program, and the Fitness & Nutrition Coaching Degree (AOS) Program are endorsed by National Academy of Fitness Certifications (NAFC), and/or National Academy of Sports Medicine (NASM). 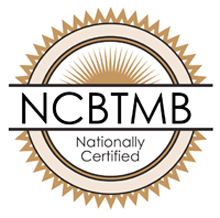 The Massage Therapy Certificate Program is licensed by the Massage Board Licensing Exam (MBLEx). Together, these accreditations and certifications assure our students of receiving the highest quality training available. They also ensure that your massage therapy, medical assisting or personal fitness training will be recognized in most states across the country.